Amid the masses of hipsters with carefully-selected thrift-store t-shirts, cleverly ironic facial hair, and tailored-looking skinny jeans, there were some fine musical offerings at the 2009 Pitchfork Music Festival. Thanks to overcast skies and unseasonably cool weather this past weekend, the fest in Chicago's Union Park was more comfortable than summer festivals in our city tend to be. Although the weekend lineups dwarfed Friday's concert of just four bands, the Pitchfork people came up with an interesting way to get people in the door for Friday night's show. “Write The Night”—where fans have the ability to vote on their favorite songs to be included in each band's setlist—wound up being a success, with plenty of people in the crowd whooping and cheering when their favorites were played during each band's set. Although festival opener Tortoise occasionally got solid jazz-funk-rock grooves going, they abruptly killed them with poorly-conceived and clumsily-executed minimalist and avant-noise sound experiments. There were many in the crowd during the set who seemed pleased, but the band left this reviewer unconvinced. From the start of Yo La Tengo's trippy opening number, through the slinky shoegaze and straightforward rock of the other tunes in their set, the band entertained (and for me, this was when the music festival really started). The band gave an energetic set, and the fans were clearly getting into the swing of things by the end of it. The extended guitar-distortion solo by Ira Kaplan toward the end of the set looked and sounded as if he was trying to make love to his guitar, and in general, the tasteful sound experiments Yo La Tengo engaged in were quite similar, in substance, to what Tortoise was trying to do, but with better results. “Shut the f*ck up” was the surly greeting to timid audience applause by midlifing frontman David Yow of The Jesus Lizard as the band took the stage Friday at dusk. By far the most entertaining act of the night, The Jesus Lizard are not aging gracefully. Yow's seemingly drunken shape-throwing, stage-diving, crowd-surfing, and inappropriate, innuendo-laced gestures were juvenile and hilarious. The stage persona may have been tongue-in-cheek; at one point in the set, after getting the audience to sing along with him to an acappella rendition of “Michael Row The Boat Ashore,” Yow quipped, “Wow, you're even stupider than I am.” The band came back onstage to do a few songs as an encore, much to the satisfaction of crowd-surfing fans and thrash-dancing children in the audience. 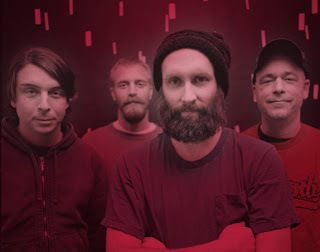 Day One's final act, Built To Spill, lived up to their headliner status, closing the night with a stunning, virtuosic set of beautiful, folk-influenced indie rock that, like the band's albums, has a vaguely nostalgic feel to it. In all, the evening was satisfying as a stand-alone concert, but hardly worth the “festival” designation. In spite of myriad sound and setup problems (which caused the B stage to wind up horribly behind schedule by the end of the day), Saturday's main-stage headliners and supporting acts could not hold a candle to the energy and enthusiasm that came from the performers scheduled on the somewhat isolated B stage. The Dutchess and the Duke played a passionate set of indie folk early on Saturday afternoon. It was visceral and lovely music, and made it worthwhile to get to the festival in time for the early acts. Bowerbirds did a melodic set of breathy indie folk. Inflected with the nasal whine of an accordion, it was beautiful music for a lazy Saturday afternoon. In spite of rain intruding on the start of Wavves' set Saturday afternoon, the duo delivered an upbeat set full of reverb-heavy vocals, jangly garage guitar, and just plain sweet, pulsing drums. Even Lindstrøm performed a surprisingly engaging electronic DJ dance set Saturday evening; his songs had forms, merged one into the next, slowly morphing the danceable grooves during the course of the set. 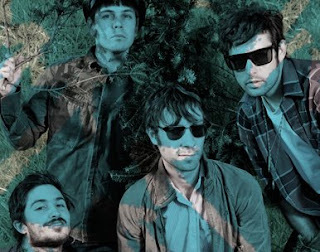 To my ears, Beirut's music always has a sort of moody, brooding European flavor thanks to an accordion playing waltz and other old-worldy rhythms that make up the band's core pulse. The harmonized brass instruments sound surprisingly delicate, thanks in part to the wheezing of the supporting accordion and the sweetness of the plucked and bowed strings. Like the band's albums, Beirut's live performance on Saturday was acoustically rich; stunning and beautiful, they are the musical equivalent of a knockout, but the festival setting and musicians projected on giant screens seemed far too impersonal a setting to really engage with such intimate-sounding music. Drum and keyboards duo Matt and Kim had an infectiously high-energy, big sound that kept the audience going even toward the end of a long day. Again, there were problems with the sound during this B stage act's set: toward the end of the set, Matt's keyboards lost power in the middle of a song; the band kept the rhythm going until they were back in commission. Briefly stealing Matt's microphone, Kim commented “This brings us back to our early days of house parties in Chicago...if somebody knocks a plug out of the wall, you plug that sh*t back in, and keep playing.” Matt and Kim certainly did. By far the most satisfying set on Saturday night came in the form of B-stage headliners The Black Lips, who closed the evening with an adrenaline rush. When, at the end of the first song of the set, the guitarist smashes his guitar and throws the pieces to the audience, you know you're in for a fun evening. The Black Lips rock hard the way you've always heard bands did in the old days, before musicians got too polite for their own good and forgot what rock was all about. With a sound that you can relate to on an almost primal level, punctuated with wicked howls from vocal effects pedals, the Black Lips grabbed its audience by the balls and kept them dancing and rocking all night, even encouraging audience members to make festival security “earn their money” by moving in close to the stage (a few even jumped up on stage and danced with the band during the last numbers of the night). Being familiar with Blitzen Trapper's folky studio sound, I have to admit, I was a bit surprised at their live sound on Sunday afternoon, which had a sort of southern-rock feel to it. It really worked for them, though, and they held the fort on the main stage with some excellent music, including a truly blazing set closer. A shirtless, slightly psychedelic set awaited the audience at The Killer Whales' performance on the B stage. The drummer got some good beats going, and had plenty of catchy, rhythmic guitar riffs for fans to sink their teeth into. I had certainly hoped that by the third day of the festival, the B stage's sound problems (whatever the cause) would be over, but Women's set proved this to be a false hope. The instruments had a big, booming sound, and you could really feel the pounding of the drums, but the vocal balance was so far off that you couldn't hear the singer at all in the mix, and in general, I just wasn't feeling it with their live set. The Thermals, on the other hand, played a super-high-energy set on the main stage that reached all the way to the back of the park. Although they performed a few well-chosen covers that generally fit in well with the band's originals, it was the Thermals' own songs like “Pillar of Salt” and “Here's Your Future” that seemed to entertain the audience the most. The Walkmen played a set of intense music with a big sound and a passionate, gut-wrenching quality. The occasional addition of brass to some of the songs added a sweetness to the harmonies, and the performance was, on the whole, an enjoyable set of heartbreaking music. I have never been particularly impressed by M83's recordings, so I was quite surprised at how engaging their live electronic-influenced set was. They were clearly working hard, and the crowd was clearly digging it. Grizzly Bear had, by their own account, several reasons to celebrate at this year's festival (including their drummer's birthday and having shared their stage at the festival with The Walkmen). Although they, too, had some sound problems (apparently their monitors kept going out), they kept the set going instead of stopping until the issues had been resolved. They played anyway, and well. In particular, the last song of the set was amazing—it was poignant, gorgeous, and had a good groove that got the audience moving. I had always heard that The Flaming Lips put on a good show, but I honestly had no idea just how good their shows were until I saw them live at Pitchfork. There was a semicircular light/projector screen that illustrated the band's set, even at the very back of the park. The show opened with a video projection of a naked (but artistically blurred thanks to camera and lighting effects) woman who moves around, eventually lying down and opening her legs as a big, flashing tunnel of lights pulsated from between her legs. From a conveniently-placed door at the center of this projector/lightscreen/backdrop, the band members emerged, obviously alluding to birth. Frontman Wayne Coyne was present in his giant inflatable bubble, which was rolled out over the crowd as the band started to play. Confetti, streamers, giant balloons, and spouts of fog punctuated the opening and closing numbers of the band's set, which included women dressed as cats and men dressed as frogs dancing on either side of the stage. After nodding to Pitchfork's status as the “coolest” festival of the year, Coyne checked the crowd's ability to make “animal sounds” at the end of a very long weekend, riding on the shoulders of a man in a big-headed gorilla costume during one number. 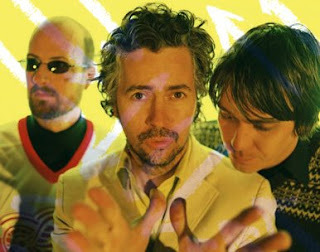 Although the “Write the Night” concept was primarily for Friday's bands, The Flaming Lips also participated, letting the audience know which number (ranked by popularity) each song they played was (no. 7, no. 12, no. 2, and so on), and trotting out fan favorites, including “Fight Test”, “Yoshimi Battles the Pink Robots”, “She Don't Use Jelly”, and set closer “Do You Realize”. The Flaming Lips wowed the audience with lush music and visually opulent stage spectacle, closing this year's festival with a very big bang. It was probably good that they were the final act of the festival; I seriously doubt anybody else on this year's lineup could have followed that stage show.